DJIâs most advanced technology comes together in the Inspire 1, an easy to use, all-in-one flying platform that empowers you to create the unforgettable. Never before has such power been put into a ready-to-fly system that anyone can fly. Imagine holding the future in your hands. 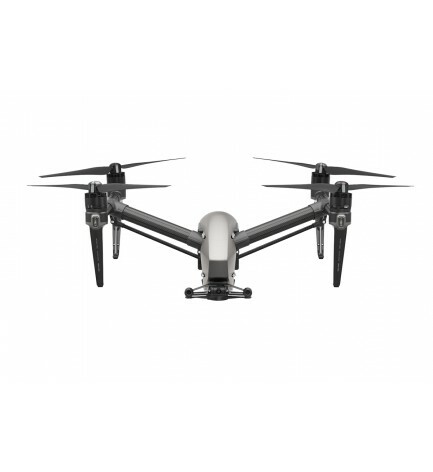 Designed to be powerful while lightweight, flexible while providing the stability you need, the Inspire 1 is DJIâs most advanced complete package. All of the latest aerial technology is packed into one simple, ready-to-fly system, putting you in the sky within minutes. Strong carbon fiber arms lift out of sight, transforming the way you shoot. Get a full, unrestricted 360Â° view of the world below and create images like never before. Inspire 1âs gimbal and camera system can be removed from the aircraft for safe transport and future upgrades. A real-time feed from your Inspire 1âs camera is displayed in 720p HD on your mobile device giving you a perfect view of what the camera sees to frame your shots. Each user can have their own screen to see exactly what is being shot in real-time. By working in tandem, youâre capturing shots that are more complex and artistic than ever before. Indoor flight has always been a true test of skill for all levels of pilots. DJIâs new Optical Flow technology uses a specially designed camera as well as sonic waves to bring simplicity to flying indoors. This technology allows the Inspire to hold its position, stop when the controls are released, and respond to your commands even when GPS is unavailable. When in flight, your remaining battery power is shown live, letting you know how long you can continue to fly. Advanced algorithms calculate the distance of your aircraft and estimated time to return home, letting you know when itâs time to fly back. Take absolute control of your Inspire 1 with DJIâs most sophisticated remote controller to date. Featuring dedicated buttons for photo and video capture, a gimbal control dial, an integrated rechargeable battery and more, itâs easy and intuitive to fly. The controller has an HDMI and USB port allowing you to connect mobile devices or compatible screens. Even if youâve never flown before, taking off and landing your Inspire 1 is easy and safe. It takes just one tap to make your Inspire 1 takeoff and transform, ready to start filming. Then tap again to have it transform into landing mode and land.